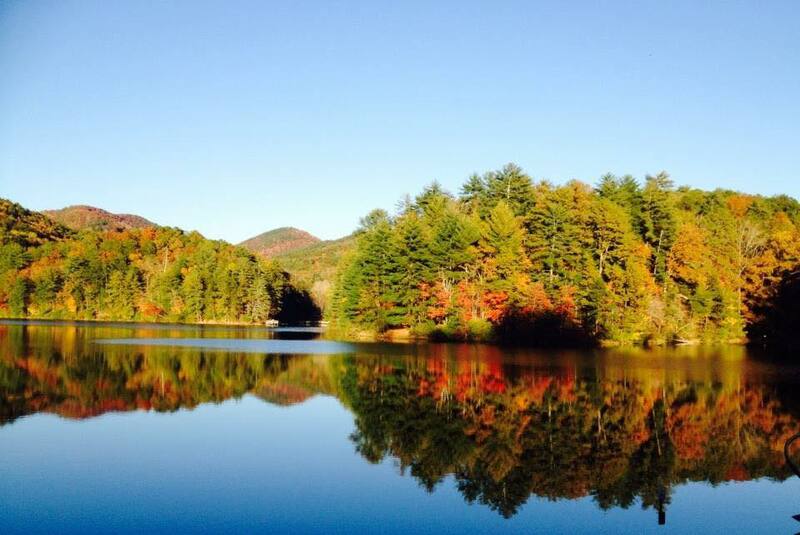 While visiting one of our cabins in Helen, Georgia, it will be a fun experience do pan for gold and gems with your family. Here are a few places that are available for you. At Gold ‘n Gem Grubbin’ you can pan for gold and screen for gemstones in their convenient sluices sitting comfortably under shade trees with a view of their 7 acre lake. 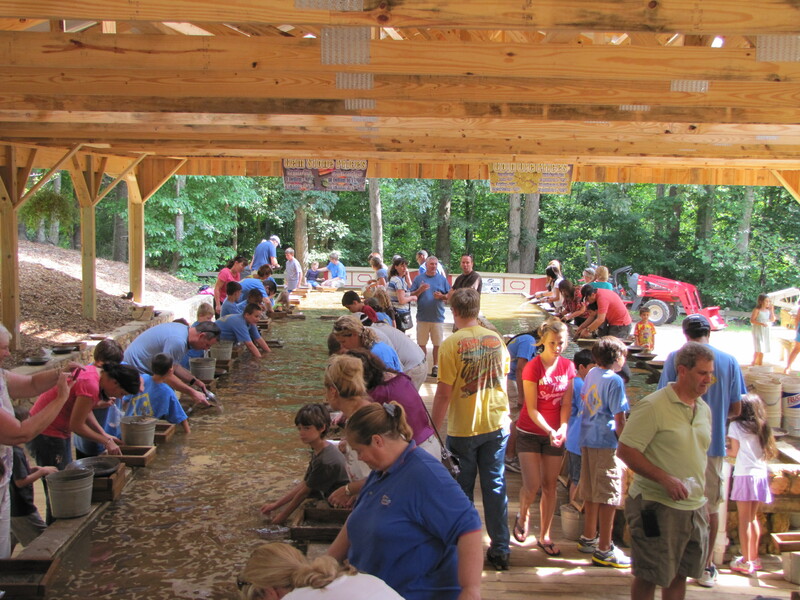 Their trained staff will teach you the art of gold panning just like the old timers did it! They will be close by to help you identify your gemstones and evaluate them for cutting. You will be pleasantly surprised as you hunt for your treasure by their “Gems of the World” concept. Your success is guaranteed! 2. Dukes Creek Gem & Mining Co.
Strike it Rich in Helen, Georgia! 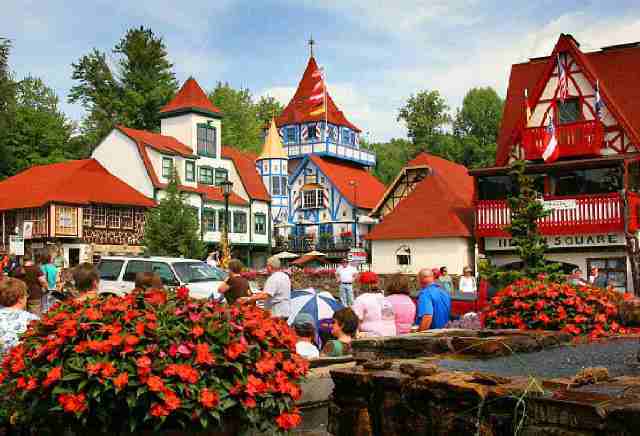 The Dukes Creek Gold and Ruby Mines is a family attraction that is fun for all ages. 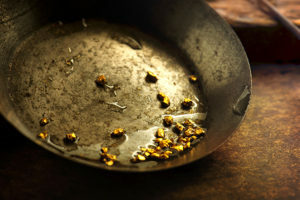 Try your luck with our Georgia Gold Rush Paydirt Buckets filled with either Concentrated Gold or take a chance on the Gemstone Buckets with rare earth gems, such as rubies, sapphires, emeralds, amethyst, topaz, and more! All of the panning tables are covered and they are open rain or shine. Get hands on lessons from their trained and helpful staff. They are always nearby to help you identify your finds and evaluate them. After you are finished, don’t forget to stop by the gift shop. Crisson Gold Mine is an actual open pit gold mine that was established in 1847 and was worked commercially until the early 1980s. They’ve been open to the public since 1969 and are the oldest gold mining establishment in North Georgia open to the public. They have instructors here that are ready and willing to help each and every person ” Children and Adults” find some of their very own Gold. Here on site for you to see is a 130-year-old Rock crusher called a stamp mill. They still operate it to crush quartz rock which contains gold. This crushed rock is called ore. It is the only actual working stampmill in Georgia and one of two in the southeast. In addition to the stamp mill, they have rod mills and jaw crushers that they occasionally use. All of these antique gold mining machines can be seen when you visit our gold mine. Call us today to book your Summer Vacation!